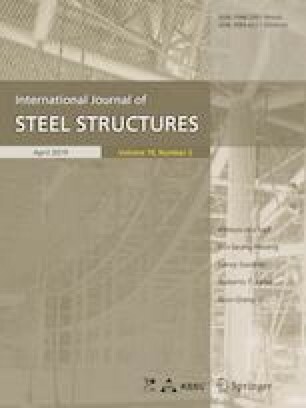 This paper presents seismic assessment of a U-shaped hysteretic damper as an enhancement system, in moment resisting frames. The proposed system is consisted of a damping box at the middle of a diagonal brace. The box includes U-shaped steel plates welded to the side plates. When a transverse load, like earthquake, is exerted to the building, relative displacement between the stories forms and will be transmitted to the braces where energy dissipation will be achieved by adding a displacement-dependent U-shaped damper. For this purpose, the system is applied to a 2D 2-span 3-story frame to which by applying eight different earthquake records, far-field, near-field and mid-field, seismic response are evaluated. The responses are the roof displacement, inter-story drifts, root mean squared of roof displacement and base shear. Result verification is carried out via calibrating characteristics of this damper with an experimental work on a somewhat similar device conducted at the University of Toronto. The results showed that by using this system, the roof maximum displacement decreased 38.9, 40.0 and 37.1% and the maximum base shear decreased 36.5, 28.5 and 39.5% respectively under near-field, mid-field and far-field records, averagely. Similar results were observed in inter-story drifts and roof displacement RMS.